Yesterday, we first spotted signs of the arrival of a physical Google Wallet card, even providing you instructions on how to order you own a few hours before Google made it official. 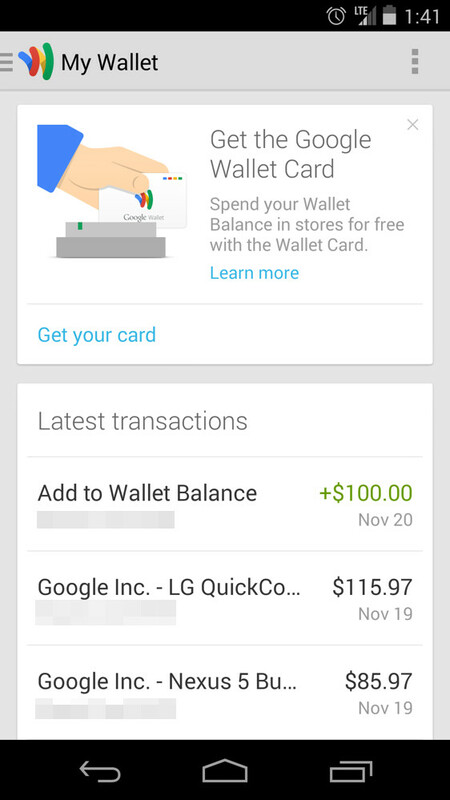 This morning, they pushed out a Google Wallet app update (build 2.0-R141-v14) to support those cards that we all ordered, making it easy to spend your Wallet cash balance in the more traditional sense without your phone or app. 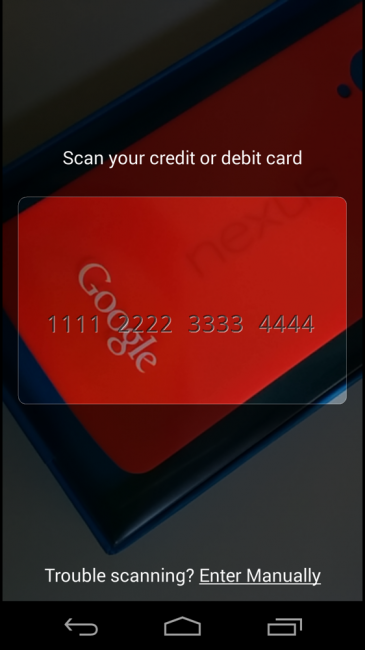 The update also makes it easy to add new credit cards by scanning them with your camera. You could argue that this is the best part of the update, as there is nothing more tedious than manually typing in credit card info. We’d imagine that this update also brings Tap & pay powers to Kit Kat devices, but most of you had that thanks to the Nexus 5 Google Wallet .apk.